A North Korean organization on Monday issued a rare expression of thanks towards the Japanese government, in a positive statement thanking Tokyo for its assistance in helping DPRK sailors in trouble at sea. 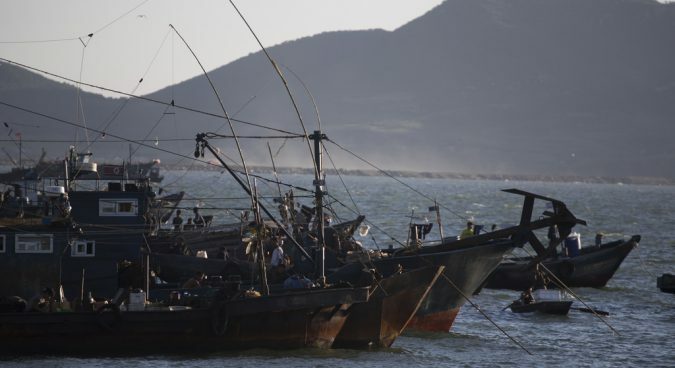 North Korean fishing ships are frequently reported illegally entering Japanese seas in pursuit of bigger catches, with many running into distress due to choppy seas and unsafe wooden boats. These circumstances have led to what media have dubbed North Korean “ghost ships”: DPRK-flagged vessels washing up on Japanese shores, with local residents sometimes discovering the corpses of deceased sailors on board. January saw four North Korean fisherman reported to have washed ashore on the island of Okinoshima following an engine breakdown. Just days later, local outlet Fuji News Network reported that two North Koreans had been rescued by the Japan Coast Guard off the coast of the town of Fukaura, having been adrift at sea for a month. The men were said to have expressed a desire to return home. The Japanese Coast Guard late last year reported that a record number of DPRK-flagged ships were washing up on Japanese shores, with 89 reported to have appeared as of late November. Monday’s statement is a rare expression of North Korean goodwill towards Japan, which has in recent months sought to soften its stance towards Pyongyang. Prime Minister Shinzo Abe in an address to the country’s Diet last month expressed his willingness to meet with DPRK leader Kim Jong Un in the coming year to “resolve North Korea’s nuclear and missile issues” and the long-standing dispute between the two countries over the historic abduction of Japanese citizens by Pyongyang. A commentary in the KCNA last month condemned Tokyo for its role in international efforts to stem North Korea’s illicit use of ship-to-ship (STS) transfers to obtain oil at sea.